If you or a loved one has diabetes, you should be aware of the potential complications of diabetes and risks it can bring. Most importantly, you should feel confident in knowing how to avoid these risks and live worry-free. There are certain lifestyle behaviours you can adopt to prevent the majority of complications associated with diabetes, which we will explore. First, let’s identify the short-term complications and then move onto the long-term complications. A short-term complication can be solved. 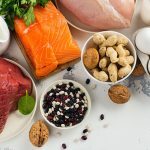 For example, I suffered from hyperglycemia (high blood glucose levels), but ever since I adopted a low carb diet and started exercising regularly, I no longer have this condition. A prolonged period of high blood glucose levels increases the risk of long-term damage. You will learn to spot these signs and recognise when your blood glucose levels are high. Sometimes I’ll eat something that is high in carbohydrates without realising. If this spikes my blood glucose levels, I experience symptoms of frequent urination and increased thirst, but I also get an immense feeling of tiredness. These are my specific warning signs. When I get these feelings, I make sure I check my blood glucose levels with my blood glucose meter. The body not producing enough insulin, or insulin resistance, can cause hyperglycemia in diabetics. It depends what type of diabetes you have. Missing or not taking the correct dosage of diabetic medication. Eating food that contains too many carbohydrates/sugar for your body to handle. Stress, anxiety and lack of sleep have been linked to increased blood glucose levels. Other illnesses, infections or even medications for other conditions may cause a rise in blood glucose levels. What damage can hyperglycemia cause? Untreated hyperglycemia can lead to further short-term or long-term complications. Hyperglycemia can lead to the short-term conditions ketoacidosis and hyperosmolar hyperglycemic state. It can also damage your organs and cause long-term complications. Hyperglycemia is diagnosed by testing the amount of glucose in your blood. This is either done by testing your blood glucose level with a meter (where you prick your finger and squeeze blood onto the test strip) or via a standard blood test. The blood test may also record your HbA1c. Take medication as prescribed. If your blood glucose levels are still high after taking your medication, they may need to be reviewed by your doctor. Follow a suitable diet. When I had hyperglycemia my blood glucose levels were around 15-20mmol/L, I now follow a low carb diet and they are generally between 4-6mmol/L! Exercise. Physical exercise causes your muscles to request and use more blood glucose, thus helping to reduce the amount in your blood. It can also improve the sensitivity to glucose which means your insulin becomes more effective at delivering glucose to your cells. If you have ketones in your urine it is not advisable to exercise as this can have the reverse effect and spike your blood glucose levels even further. Check your blood glucose level. I strongly recommend checking your blood glucose levels regularly whilst you have hyperglycemia. I tested mine 3 times a day when I had it. This helped me to learn about the foods that spiked my blood glucose levels and I was able to adjust my diet accordingly. If you are on insulin, adjust your insulin dose to correct the high blood glucose levels. You can read more about adjusting insulin on diabetes.co.uk. You can avoid hyperglycemia by taking your medications as prescribed, making suitable changes to your diet, exercising regularly and monitoring your blood glucose levels at home. Hypoglycemia is when your blood glucose levels drop below 4mmol/L (72mg/dL). This tends to happen to diabetics who take insulin or medication that encourages insulin production. Mild hypos are pretty common for diabetics on these medications and can usually be resolved without any consequences. However, severe hypos can be life-threatening. A high dosage of certain medications. This is mainly caused by insulin injections but there are some tablets that increase insulin production and can cause hypos. This is the most common cause of hypos. Delayed meals. If there has been a long gap since your last meal you are at risk. Unplanned exercise. This can cause your blood glucose levels to go low, especially if you haven’t eaten enough beforehand. Alcohol consumption. Alcohol can lead to low blood glucose levels, especially if you are drinking and haven’t eaten. Our bodies are not as effective in managing blood glucose levels when trying to clear alcohol from our system. What damage can hypoglycemia cause? Severe hypos can cause a loss of consciousness and must be treated immediately. An ambulance may also be required. In very severe cases, a hypo can lead to seizures or even a coma. Whilst rare, a severe hypo can also lead to death. Hypoglycemia can be diagnosed by testing your blood glucose levels with a blood glucose meter. If you are experiencing any of the symptoms it is important to check your blood glucose levels immediately. A blood glucose level below 4 mmol/L is considered a hypo. Regularly monitor your blood glucose levels. Make sure you check your blood glucose as many times as advised by your doctor. Careful monitoring is the best way to keep your blood glucose levels within your target range. Eat regularly, and don’t skip meals. When on insulin or insulin-producing medication, it is important to remain consistent with the amount you eat and the timing of your meals. Take the correct dosage of medication, and take it on time. It is important that you take your medication as prescribed by your doctor. Remember to eat a meal or snack when drinking alcohol. Record your low blood glucose levels. This will benefit you and your healthcare team. Keeping a record of when you experience hypos will help to identify any trends or events that may be triggering the low blood glucose levels. Carry a form of diabetes identification. This will help others if you have a severe hypo and need help with treatment. Identification could be the medical card given by your doctor, or as a more visible option, you could wear a medical identification necklace or bracelet. Diabetic ketoacidosis is when you have high levels of ketones, a form of acid, in your blood. It is a serious complication that needs to be treated immediately. What are the symptoms of ketoacidosis? What are the causes of ketoacidosis? Ketoacidosis develops when your body doesn’t produce enough insulin and glucose cannot be transported to your cells for energy. In order to make up for the lack of energy your body produces excess ketones to help break down your own fat for energy. What damage can ketoacidosis cause? Due to a lack of insulin, which is what causes ketoacidosis, blood glucose levels may become high. Having high blood glucose levels, which causes excessive urination, can lead to dehydration and hypokalemia (low potassium levels). A high level of acid in the blood teamed with dehydration can be extremely dangerous and even life-threatening. When bodily fluids become too acidic, some of the body’s systems stop functioning properly. Ketoacidosis is most commonly diagnosed by a blood and/or urine test. These tests measure the number of ketones to determine the diagnoses. Ketoacidosis is usually treated in hospital. Treatment consists of intravenous fluids and electrolytes. This is to rehydrate and replace the salts and minerals that the body loses as a result of excessive urination. Intravenous insulin therapy will also be administered to reverse the processes of ketoacidosis. The insulin therapy will continue until the blood is no longer acidic and blood glucose levels are more controlled. Ketoacidosis can be avoided by maintaining good blood glucose control. The best way to keep control is by having a clear understanding of diabetes, regularly testing blood glucose levels and eating a suitable diet to avoid high blood glucose levels. Hyperosmolar hyperglycemic state (HHS) is a life-threatening condition that is most commonly seen in type 2 diabetics. HHS is when an individual has extremely high blood glucose levels (often over 40mmol/l), is dehydrated but does not have ketoacidosis. What are the symptoms of HHS? What are the causes of HHS? HHS is most often caused by another illness such as an infection or through dehydration. The dehydration can be caused by the body filtering excess glucose from the blood into the urine, draining high amounts of fluids, or by a lack of fluid intake. Other conditions such as a stroke or heart attack can cause this state to happen. What damage can HHS cause? HSS can lead to a diabetic coma, damage the vessels that supply blood to vital organs, cause blood clots, brain swelling, nerve damage and in rare cases result in death. HHS is usually diagnosed via a blood test. A urine sample may also be tested as this helps to distinguish between HHS and ketoacidosis. Similarly to ketoacidosis, HHS is treated with intravenous fluids and intravenous insulin therapy. Good blood glucose control can prevent HHS. It is also important to recognise the early signs of infection, or dehydration, and contact your healthcare team immediately so they can monitor you. Poorly controlled diabetes can lead to long-term complications. A common long-term complication is damage to the large blood vessels of the heart, brain, and legs. These are known as a macrovascular complications. Another common long-term complication is damage to the small blood vessels which causes problems in the eyes, feet, nerves, and kidneys. These are known as microvascular complications. Diabetics have an increased risk of heart disease. Heart disease is the medical name for when a build-up of fatty substances blocks the blood supply to your heart. How does diabetes increase the risk of heart disease? Diabetics often have high blood pressure and high cholesterol, this, with the combination of damaged blood vessels, contribute to the risk of getting heart disease. What complications can heart disease cause? Heart failure. Heart failure occurs when your heart cannot pump enough blood for your body’s needs. This is the most common complication of heart disease. Heart attack. A heart attack occurs when a blood clot blocks the flow of blood through a vessel connected to the heart and potentially damages or destroys part of the heart muscle. Stroke. A stroke occurs when the arteries to the brain are narrowed or blocked. Due to the lack of blood flow to the brain, brain tissue begins to die within just a few minutes of the stroke occuring. Aneurysm. An aneurysm is a bulge in the wall of an artery. Aneurysms can burst and cause life-threatening internal bleeding. Peripheral artery disease. Peripheral artery disease is when major parts of the body, most commonly the legs, don’t receive enough blood flow. Sudden cardiac arrest. Sudden cardiac arrest is when unexpected loss of heart function, breathing and consciousness suddenly occurs. Tests for diagnosis of heart disease may vary, but the typical tests include a chest X-ray and blood test. Other tests may include an electrocardiogram (ECG), echocardiogram, cardiac catheterisation, cardiac computerised tomography (CT) scan or a cardiac magnetic resonance imaging (MRI). Treatment of this long-term condition includes lifestyle changes and potential medical prescriptions. Lifestyle changes include adopting a healthy balanced diet, physical activity (this may have to be low impact exercise) and stopping smoking. Heart disease can be avoided by having good control on your blood glucose levels, blood pressure and cholesterol. It is also important to control your weight and uptake regular physical activity. The role of the kidneys is to extract waste from the blood, balance body fluids, form urine and support other functions of the body. The kidneys struggle to fulfil these functions when someone has nephropathy. Over time this can lead to kidney failure. How does diabetes increase the risk of nephropathy? Uncontrolled diabetes can lead to damaged blood vessels. The kidneys aren’t as efficient when blood vessels stop working or become leaky. This hampered kidney function is what causes nephropathy. What damage/complications can nephropathy cause? Henoch-Schonlein purpura (HSP). A disease involving inflammation of small blood vessels. Two tests are used to screen for nephropathy. One is a urine test, which will be used to see whether there is protein present in the urine. The other is a blood test which will show how well the kidneys are performing. Medicine that lowers blood pressure and protects the kidneys helps diabetic’s to manage nephropathy. Good control of blood glucose levels and blood pressure can help to prevent nephropathy. It is also important to attend your yearly diabetes health check as your kidney function will be tested. Early diagnosis of kidney damage can help prevent the progression of kidney disease. Retinopathy causes vision impairment and can lead to blindness. This is caused by damaged blood vessels in the retina. What are the symptoms of retinopathy? How does diabetes increase the risk of retinopathy? Diabetes can increase the risk of retinopathy due to high blood glucose levels damaging the retinal blood vessels. This may cause the vessels to swell up and leak fluid into the eye or may cause abnormal blood vessels to grow on the surface of the retina. What damage can retinopathy cause? Undiagnosed or untreated retinopathy can lead to blindness, although, this usually happens if it is untreated for several years. Dilated eye examination. Eye drops are administered to dilate the pupil allowing the examiner to see the retina (the back of the eye). Distance and near vision acuity tests. These tests are used to determine the smallest letters that a patient can read. Tonometry test. The examiner will blow air onto the eye. This test is used to measure the fluid pressure in the eye. Fluorescein angiography test. The examiner will inject a fluorescent dye into the blood stream so that the blood vessels are highlighted and can be photographed. This shows the blood flow in the retina. Optical coherence tomography (OCT). OCT is a imaging test that uses light waves to take high res, cross-sectional and three-dimensional pictures of the retina and its supporting layers. Amsler Grid test. In this test, the patient looks at a small dot in the center of a grid. If patients see wavy lines or cannot see some lines this can suggest macular disease (blurred or no vision in the center of vision). There are three stages of retinopathy: background retinopathy, diabetic maculopathy, and proliferative retinopathy. Retinopathy is commonly treated with laser surgery but depending on what stage the patient has treatment it may vary. For example, patients with background retinopathy may have no form of treatment but will have their eyes monitored regularly. Good blood glucose levels, blood pressure and cholesterol control help to prevent and lower the risk of developing retinopathy. Neuropathy is when damage to the peripheral nerves, such as in the hands, feet and arms, has occurred. How does diabetes increase the risk of neuropathy? Neuropathy is caused by damaged nerves. Diabetics are prone to high blood glucose levels. If these high levels are left untreated for a prolonged period of time it can cause damage to the nerves. What damage/complications can neuropathy lead to? If the underlying cause of neuropathy is not treated, the nerves may become permanently damaged and/or more painful. The individual may also be at risk of developing foot ulcers which can become infected. Infections can lead to gangrene (death of tissue) if untreated, and in severe cases the foot may need to be amputated. If the nerves that control the automatic functions of the heart and circulation system are affected, this may require treatment to increase blood pressure or, in rare cases, a pacemaker. Examination of affected areas of the body. Testing of sensation, reflexes and strength may occur. Blood test. This typically will check diabetes control and vitamin B12 deficiency. Nerve conduction test (NCS). Small electrodes are placed on the individual’s skin and tiny electric shocks are released to stimulate the nerves. This will measure the speed and strength of the nerve signal. Electromyography (EMG). A small needle is inserted through the skin into the muscle to measure the electrical activity. Neuropathy treatment usually includes lifestyle changes such as good blood glucose control, stopping smoking and limiting alcohol. Medication known as neuropathic pain agents may be prescribed to help deal with the pain. There are several steps you can take to prevent neuropathy. Keep your blood glucose levels within target range. Ensure you keep your feet covered and protected, and avoid going barefoot. You should also get your feet checked once a year and tell your healthcare team if you are experiencing any of the symptoms of neuropathy. A stroke is a life-threatening medical emergency where the blood supply to the brain is affected or blocked causing brain tissue damage. There are two main types of strokes, an ischaemic stroke and a haemorrhagic stroke. An ischaemic stroke is where a blood clot forms in the brain. This is the most common type of stroke. A haemorrhagic stroke is where a blood vessel in the brain bursts causing a haemorrhage. How does diabetes increase the risk of a stroke? As diabetics often have high blood pressure, high cholesterol and/or narrowed arteries, this increases the risk of having blood clots that can cause a stroke. What damage/complications can a stroke cause? A stroke can be physically and mentally damaging. The complications caused by a stroke will differ depending on what part of the brain has been damaged and how severe the damage is. Weakness or paralysis. This may affect one side of the body or just an arm or a leg. This can cause problems with balance and coordination. Aphasia. This is when the stroke has caused the individual to have trouble with speech or writing. The individual may understand but is unable to think of the right words to say or write. Dysarthria. This is similar to aphasia, however, the individual knows the right words to say but struggles to say them clearly. Vision and perception problems. Stroke survivors often suffer from vision or perception problems on the weakened side of their body. Cognitive problems. These may include problems with memory, attention span, thinking, learning capabilities and general mental activities. Sensory issues. This may include numbness, pain or hypersensitivity. Outbursts of emotions. This may include sudden onset of anger, crying or bouts of laughter. Depression. The after-effects of a stroke are a lot to deal with and it is normal to feel sad about this. However, some individuals experience a severe depressive disorder which should be treated as soon as possible. Brain computed tomography (CT scan). An x-ray that takes clear and detailed pictures of the brain. This test can show whether there is bleeding on the brain. Magnetic resonance imaging (MRI). This test uses magnets and radio waves to form pictures of organs and structures in the body. This test can show if any changes in brain tissue or damage to brain cells have occurred. Computed tomography arteriogram and magnetic resonance arteriogram (CTA and MRA). These tests show the large blood vessels and can help pinpoint a blood clot. Carotid ultrasound. This uses sound waves to form pictures of the carotid arteries which supply blood to the brain. It will show whether the carotid arteries are blocked or narrowed. This test may also include a Doppler ultrasound which shows the speed and direction of the blood. Carotid angiography. This test uses dye and x-rays to show the carotid arteries. Electrocardiogram (EKG). This test shows how fast the heart is beating and its rhythm. It can also detect if any heart problems have caused the stroke. Echocardiography. This test uses sound waves to form a picture of the heart and can show if there are any blood clots. Treatment for an ischaemic stroke, which is a blood clot in the brain, includes a combination of medication. Some medication needs to be taken within 4.5 hours of the stroke occurring, which is why it is so important to seek medical attention as soon as possible. This particular medication is an injection called alteplase. Alteplase will remove the blood clot and can minimise damage if administered within the recommended timeframe. Treatment for a severe ischaemic stroke is a surgical procedure called a thrombectomy. A thrombectomy removes blood clots to help restore blood flow back to the brain. The procedure involves inserting a catheter into an artery. A small device is then passed through the artery to the brain and removes the blood clot. To prevent another stroke, individuals may be prescribed a regular dose of aspirin, clopidogrel, or an anticoagulant. Treatment for a hemorrhagic stroke may include a craniotomy, which is emergency surgery to remove blood from the brain and repair burst blood vessels. During this procedure, part of the skull is removed to give the surgeon access to the affected area. If the hemorrhagic stroke has caused hydrocephalus (build-up of fluid in the brain) further surgery may be necessary to drain the fluid from the brain. For all type of strokes, patients with high blood pressure or cholesterol may be prescribed medications to manage these conditions. Rehabilitation therapy to help restore some lost functions and relearn key skills. A feeding tube inserted into the stomach or nose if the individual is unable to swallow. Nutritional supplements if the patient is malnourished. Intravenous fluid regulation. If the individual is dehydrated, fluid is given from a bag connected via an intravenous line inserted into a vein. Oxygen (nasal tube or face mask) if the individual has low levels of oxygen in their blood. Compression stockings to help prevent blood clots in the legs. Keeping blood glucose, blood pressure and cholesterol within target range will lower the chances of having a stroke. In order to achieve this control, lifestyle changes may need to occur. These include stopping smoking, planning and cooking healthy fresh meals, partaking in physical activity and achieving a healthy body weight. Limb amputations in diabetics is most common on the feet or legs. Nerve damage and poor circulation can make the feet vulnerable to foot ulcers. If left untreated these can develop into an infection. High blood glucose and poor blood flow can prevent the wound from healing. As a result, tissue damage or death (also known as gangrene) may occur and the infection can travel to the bone. This leads to the need for an amputation. 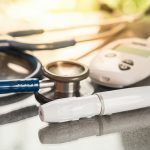 The NHS state that diabetics are 15 times more likely to have amputations. How can diabetes lead to a limb amputation? Neuropathy and foot ulcers. Where the nerves have become damaged this can cause numbness in the area. If the foot is affected, it is possible to not feel or notice any ulcers or wounds causing it to go undetected. Circulation problems. Poor circulation prevents wounds from healing. Untreated wounds can lead to infection and then gangrene. Charcot foot. Charcot foot is a bone deformity where the joints in the foot can eventually collapse and cause a visible deformation. This is often caused by a combination of the individual having neuropathy and a sprain or twisted ankle. The sprain often goes undetected due to the reduced feeling and sensitivity caused by nerve damage. The best methods for prevention are good diabetes management, following a healthy diet, regular exercise and taking medication as prescribed. Inspecting feet daily. Look out for blisters, cuts, sores, cracks, tenderness/numbness or swelling. Wash feet daily. It is also important to thoroughly dry the feet, including between the toes. Talcum powder is a good option to apply between the toes to keep them dry. This prevents cracks and bacteria from getting in. See a doctor or a podiatrist to remove any foot lesions or calluses. Always cover feet. To help prevent any injury, do not go barefoot. Wear clean, dry socks that do not restrict circulation. Cotton and acrylic are good options. Wear shoes that fit properly. Avoid wearing tight or poor fitting shoes as this can cause damage to the feet. Attend yearly diabetes check up. This check-up will include a foot examination and can be helpful in detecting early signs of foot problems such as nerve damage or poor circulation. In short, the best way to avoid the majority of diabetic complications is to keep blood glucose, blood pressure, cholesterol and weight within target ranges. This can be achieved by an appropriate diet, regular exercise and quitting smoking.